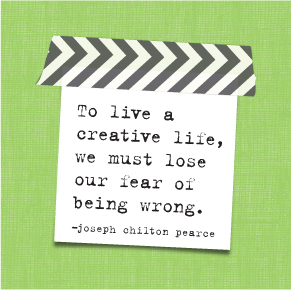 Happy Monday and happy new week, planner babes! 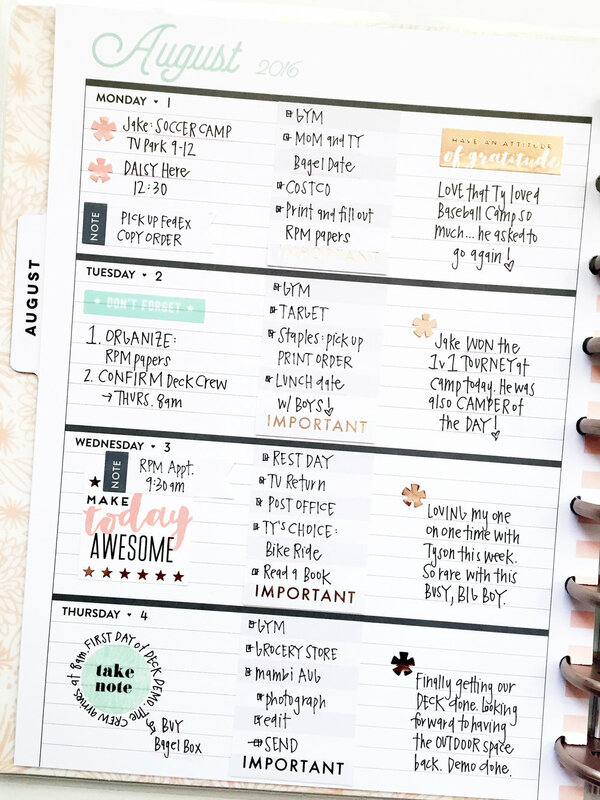 To kick it off, we're sharing two completed weeks of August in the Rose Gold Horizontal Happy Planner™ by mambi Design Team member April Orr. 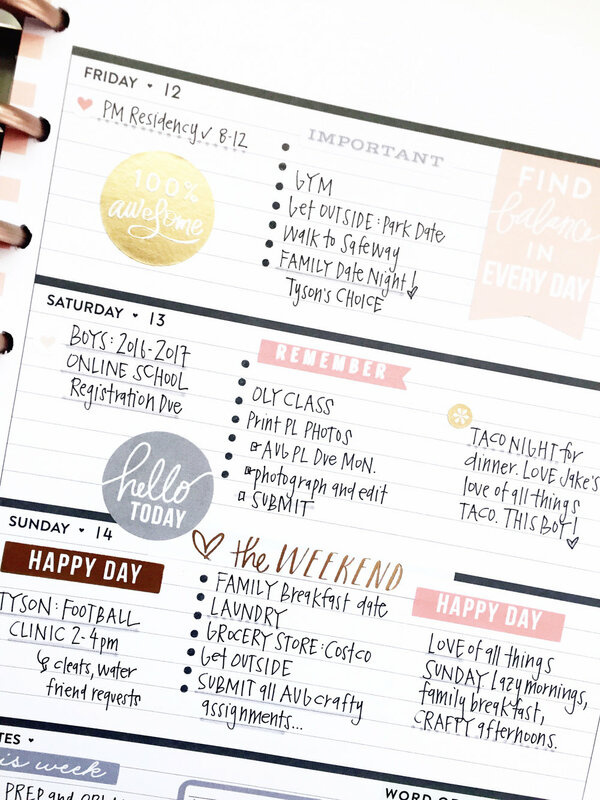 "Even though the Rose Gold Horizontal Happy Planner™ lends itself to horizontal blocks of writing, I still divide each section into threes. Heh! ...one for important reminders, a daily to-do list, and a daily happy thought/gratitude. 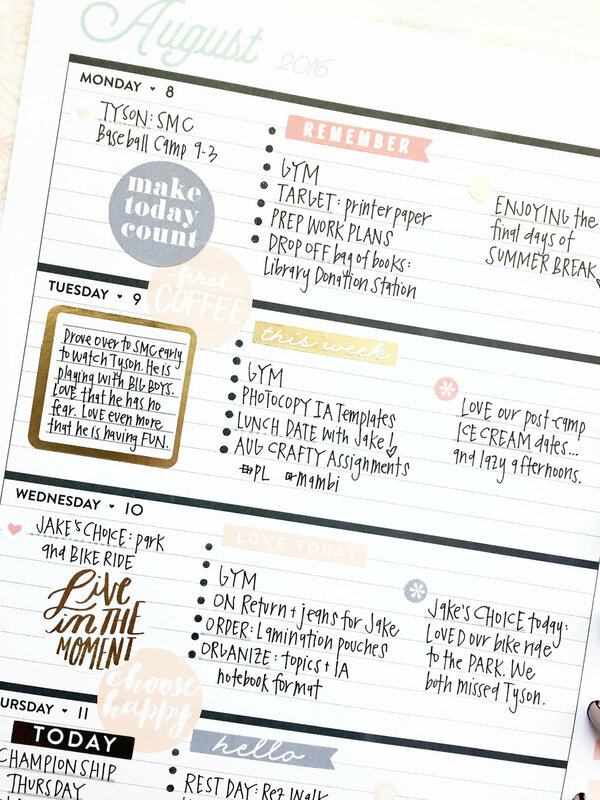 I'm still playing around with how the horizontal layout best works for me, but I love how fast and fun it was to put these pages together with the green 1000+ sticker value pack of coordinating stickers."